DS - Dale Smith, Michelle's ex-fiance and father of their twins. Primary suspect. Come one everybody, we're over here now! Hope no one got their tail caught in the door on the way out! You got me!! I posted and was locked out. 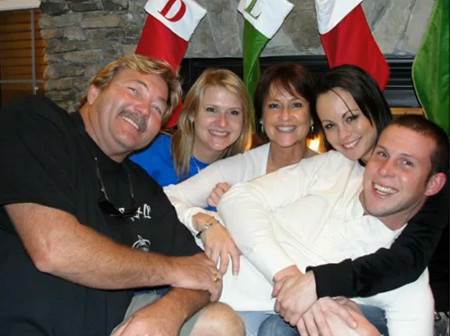 As I was saying.....Something is hinky about still no visitations with the twins and Michelle's family. Dale is fighting this. I had said awhile back that I believe it is already in writing somewhere that Dale's folks will be made guardian of the twins if Dale goes down. Yvonne will have to contend with this fight as well. Darnit! I'm sorry tupelo. I try not to do that. ITA, Yvonne will have to fight for custody of the twins, and that's really sad. Does anyone know Michelle's stepdad's name? I feel bad I don't know that. Come out to the barn in Sanford today for our benefit truck pull! Lots of fun for the whole family! Gates open at 12:00! Yvonne Ellis Stewart is currently married to Jeff. 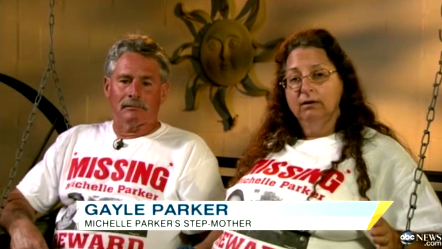 Brad Parker, her dad, is currently married to Gayle. I've been trying to update the case support threads. Brandi posted some of the information in regard to "Who's Who" and I've updated it from her latest post in this thread. Can someone confirm this is correct? If it's not, please let me know and I can correct it. Mother- Yvonne Ellis Stewart (owns a salon, probably a hair salon) Married to Jeff. Hmm. I guess we should add the Smith side too. Muffy, I was wondering if we could put this list on the first page of the new threads, like we did in Caylee's thread? We tend to talk in initials more and more as time goes on and some could get lost. If not, I'll post it on the who's who thread, but adding to it will be a pain. Of course, you mods will have to add to it on the first page as well, which is a pain too. You decide if it's even needed and where to post it. Thanks! Muffy, Thank-you, for the beautiful photos of Michelle, and for the new threads. First, I hope HM wouldn't mind, as it is for public display. And, are you talking a screen shot of the map or just the link? I can't do screen shots, and also this map is constantly updated so I think providing the link to it is the best bet. What say you? Awww, I had forgotten about the family Christmas photo. Look how happy they are. An entire family, many members, have been destroyed by this. I hate this person who did this too. I used to refrain from hatred, it can eat you up, but I started having that feeling again with Caylee's case, and all the numerous ones that have come along since hers. I also used to forgive everyone, for my well being, but I will never forgive Casey and the Anthonys for what each one of them did to Caylee. For now, it's how I cope. Tupelo, for your list of people on Dale's side, you might want to add Linda Morgan, Dale Sr's sister who resides at 6806 Chaucer LN behind which, they were searching the canal yesterday. I am 99% certain of that info. Also, Nathaniel Daniel Mitchell is Nate's full name. Also, Nathaniel Nathan Daniel Mitchell is Nate's full name. I thought about Dale's sister, didn't know her name, and she hasn't been in the news, yet, but she will be if Dale is arrested. Muffy.....help!! I can add Linda Morgan as Dale Jr.'s Sister. I guess she'll be LM? Page created in 10.154 seconds with 21 queries.